A few months ago, I was out on a tequila-tasting night courtesy of the charming and spectacularly agave-obsessed folks at Don Julio. After tasting every variety of tequila they make (and at this point, I'd personally recommend the Don Julio 1942, an Anejo tequila that's creamy, peppery and as good for sipping as most decent Scotches), master distiller Enrique de Colsa introduced us to the concept of the Luxury Drop. The Luxury Drop ­ -- rather than, as it sounds, being hurled out of a helicopter made of crushed velvet --­ is Don Julio's attempt to bring civilization to the untamed wilds of the classic tequila shot. Everyone who's ever licked salt off the base of their thumb before throwing back a shot of cheap, nasty tequila and shoving a wedge of lemon through their grimace can probably agree that, as traditional as it is, it is also to classy drinking what eating a sandwich you found in the dumpster is to fine dining. (Anyone who has never taken this shot has clearly never actually been in a bar, ever). That's why Don Julio want to re-invent it as something special, while still retaining the basic character, and to this end have invited several of the world's finest chefs and mixologists to whip up surprising and delicious alternatives. 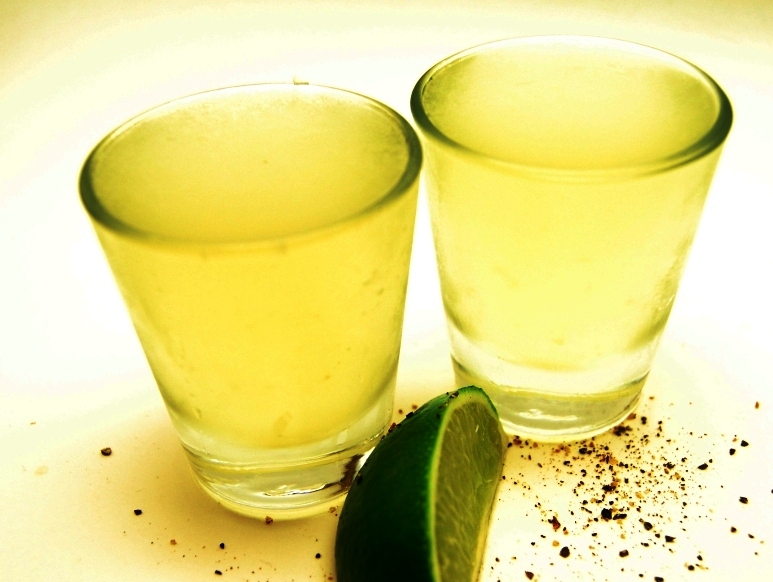 There are just three rules to making one: it has to involve a shot of tequila; it has to have a routine (something other than just downing the shot); and it has to have a name. At this point in the proceedings, a large table covered in cocktail ingredients was unveiled, and every person present was invited to try their hand at inventing a Luxury Drop. So, brusquely bypassing the mounds of glistening strawberries and blueberries for the fripperies they were, I grabbed a handful of fresh basil and went to work. The murky green concoction I ended up with tasted like a delicious salad that's somehow managed to get wasted in an Italian bistro on its way out for tacos. Success! Briefly stuck for an appetizing name to give something that looked like particularly verdant marshland (and, also, being a huge nerd), I named it, in typically classy fashion, Swamp Thing. 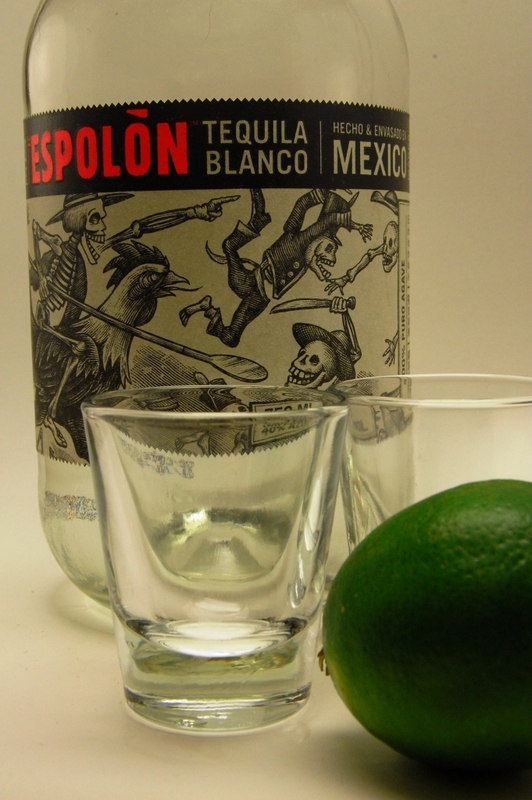 Enrique ­ -- who, lest we forget, is Don Julio's master distiller ­ -- declared it to be one of the finest shots he's ever taken, and guys, this man knows about tequila shots. And so, in the happiest ­ and smuggest of all possible endings, a few days later I received a bottle of Don Julio 1942, signed by Enrique himself, to say thanks for inventing the Swamp Thing. And we all lived drunkily ever after. Muddle the basil leaves in a shaker, then shake vigorously with the tequila, lime, syrup and ice. 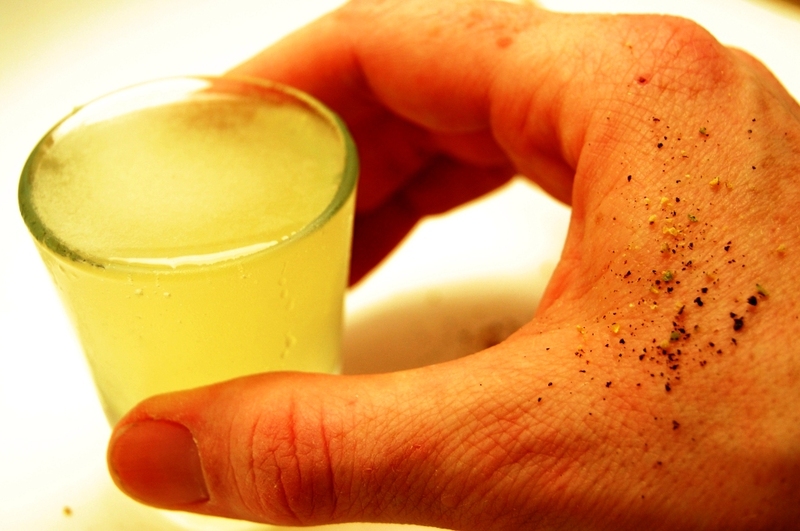 Strain into a couple of shot glasses, then sprinkle the black pepper on the base of your thumb. Lick off the pepper, down the shot.